Are humans special? I mean, we have this vision of ourselves (and our race) as a live free or die species, a race that would collectively choose hardship and freedom over luxury and captivity. But would we? Really? I'm dating myself, but do you remember the Star Trek original series episode The Cage? The one where Captain Pike (Kirk's predecessor) finds himself a captive of aliens who are able to use their minds to cast powerful illusions so powerful they are indistinguishable from reality. They can, literally, give Captain Pike anything he wants. Yet Pike resists. After several attempts to break Captain Pike's will, they give up, having decided that humans possess a "unique hatred of captivity" even when said captivity is pleasant, making them too dangerous for the aliens' needs. That's sort of the theme of this book. The Mahk-Ra (derogatorily referred to as 'Mocks'), and advanced alien species, made short work of taking over Earth. For the most part, they are benevolent dictators, fixing the Earth's environment and bringing technical and medical advances that are generally beneficial. Nevertheless, the Mocks demand obedience, which, of course, humans have never been to good at. So we end up with a world, that is, on the surface, a pretty good place. Like dictators everywhere, the "Mocks" can be intolerant of dissent, and then there's the fact that books are outlawed and the media is firmly controlled (what else is new), but overall, if you keep your head down and go about your business, things can be pretty decent for you and yours. But no matter how luxurious the cage, there are always going to people wanting out. In this case, it's an organization called Red Spear, a loosely organized network of rebels working to make the alien occupation as uncomfortable as possible with the eventual goal of driving them off the Earth. If the occasional innocent human gets hurt or killed... well, that's the price of war. Anything to get the Mocks off Earth, even though throughout the book there's the irrevocable sense that the Mocks are there to stay no matter what. Most of the stories are action oriented, daring tales of underpowered and desperate rebels pulling off some sort of derring-do resulting in aliens being reminded of just how intractable a species we are. Other tales are smaller, quieter and more personal stories about how individuals deal with the subjugation of the human race. Both types include plenty of applicable social commentary. We get to read tales of heroes and martyrs, as well as traitors and collaborators, although the lines are often blurred. What would you do to save the ones you love? 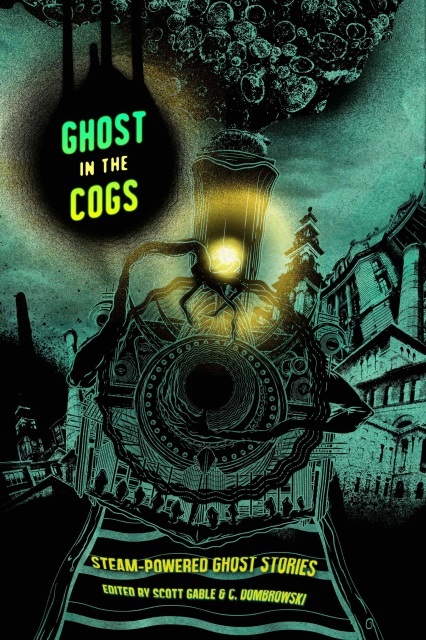 Despite being an anthology with stories written by a collection of authors, the whole thing holds together very well. It's impressive at how much backstory is provided with so few words dedicated to it. It's shared world taken to its enjoyable best. Over the years, I've found short stories harder and harder for me to read. I've come to appreciate a slower, more languorous and deeper flowing tale. 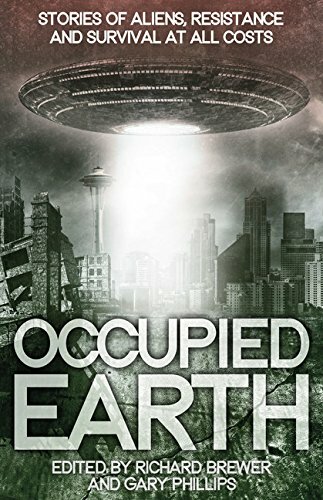 Occupied Earth: Stories of Aliens, Resistance and Survival at all Costs provides the best of both in a fantastic collection of short stories that deliver in a cohesive narrative.